Youth Girl Soccer Bobblehead Trophies take bobbleheads to the max! With two pivots, this girl has a head that bounces up and down and a body that sways back and forth. She stands posed kicking a black and white soccer ball. Any soccer player is sure to love this great trophy! 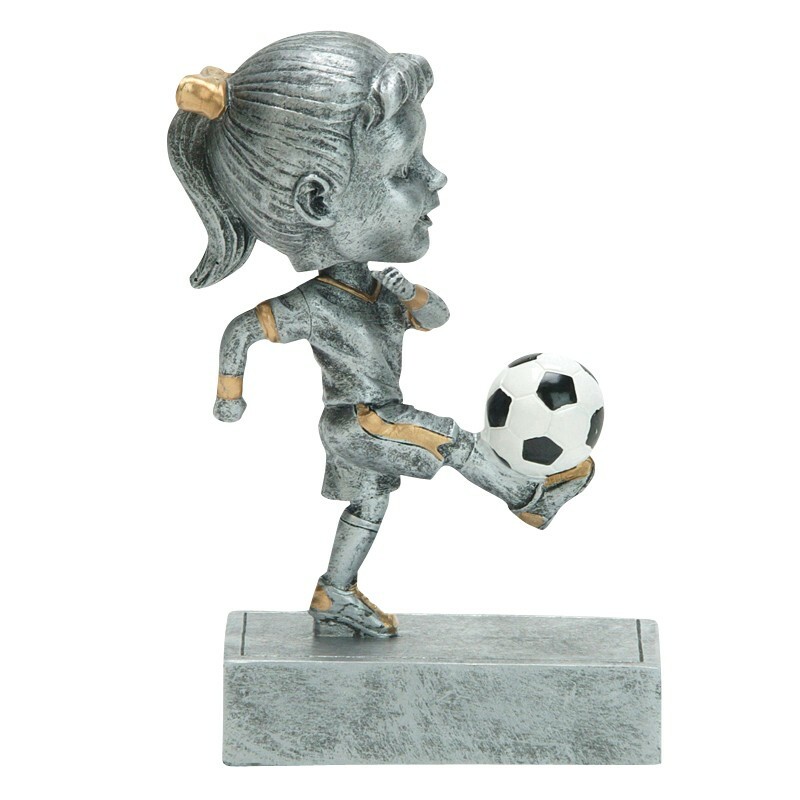 Our little girl bobblehead award is crafted from resin to resemble antique pewter with gold highlights. 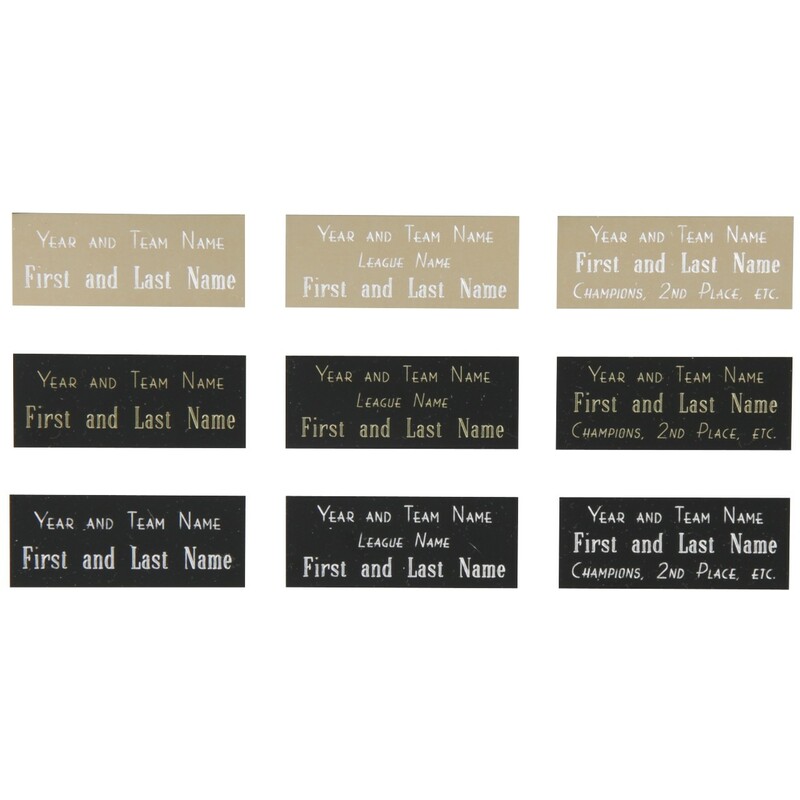 Overall height is approximately 5-1/2" tall and price includes up to three lines of engraving.